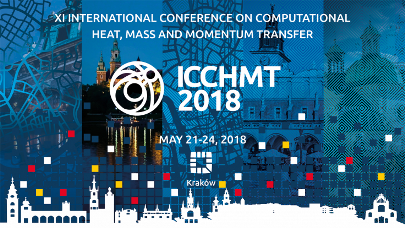 Ehsan Afrasiabian (Fraunhofer ITWM) presented at the 11th International Conference on Computational Heat, Mass and Momentum Transfer (ICCHMT 2018) the results of the numerical study made on the performance of the XERIC innovative three-fluids combined membrane contactor (3F-CMC). Ehsan Afrasiabian presented the performance evaluation of the XERIC innovative 3F-CMC and its conclusive results on Wednesday May 23, during the porous media session. This session gathered around 30 people and was chaired by Professor Li-Zhi Zhang, expert in numerical methods who works on air conditioning systems including “membrane-based dehumidifiers”.